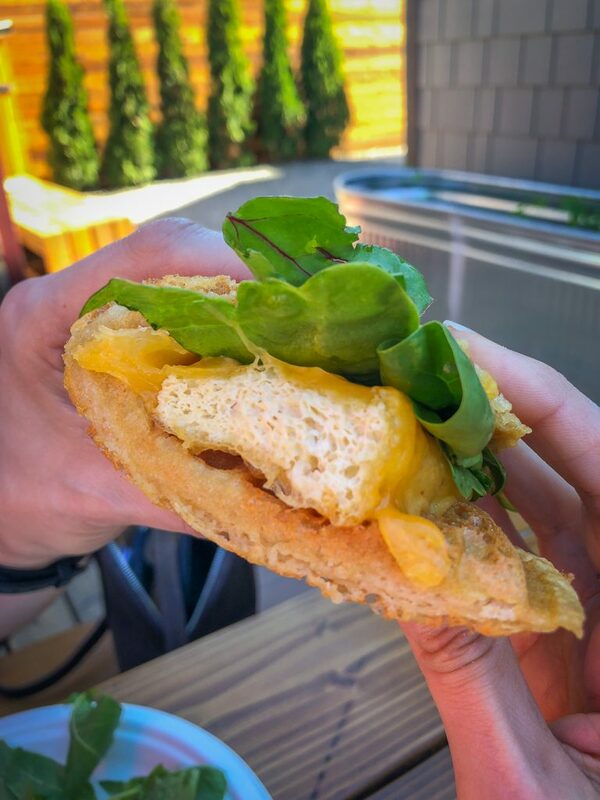 I did not know that maple butter and cheddar cheese would taste good together, but the folks at Smaaken Waffle Sandwiches in Portland, Oregon sure did. 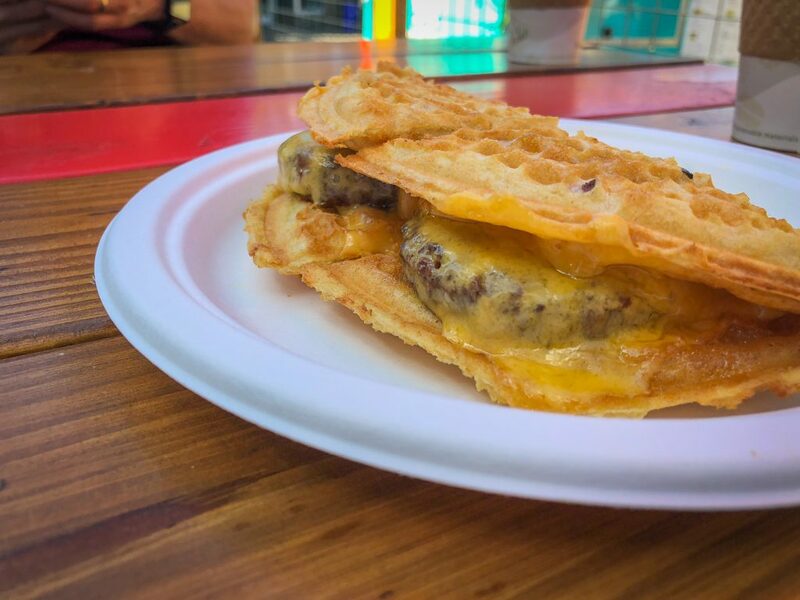 Their creative menu brings together all kinds of unexpected ingredients, and cozies them up inside a folded over Dutch-style waffle with great success. On a recent trip to the City of Roses I ate my way through many plant-based lunches and dinners, but this was my most memorable breakfast. 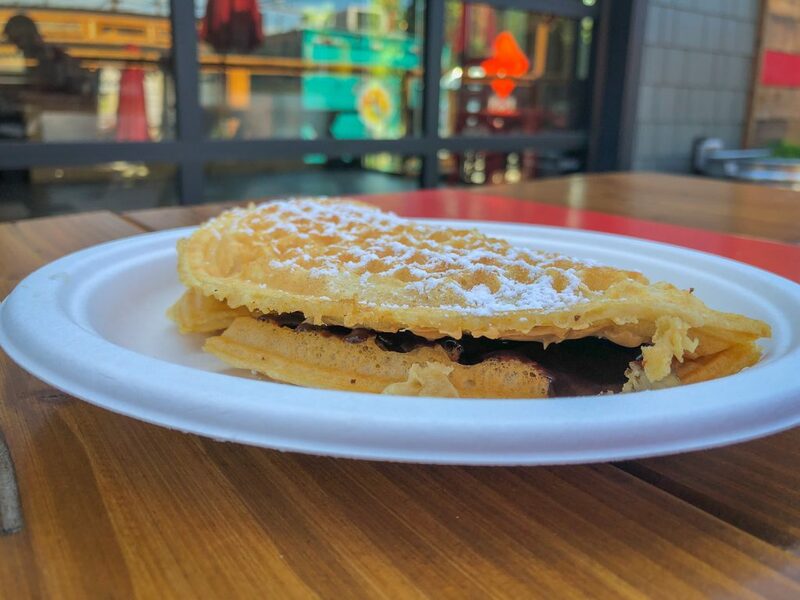 Smaaken is located in a little pod of food trucks called The Lot at Scout Beer on SE Division Street. Their signature waffles are a yeasted and barley malted batter made with organic wheat. 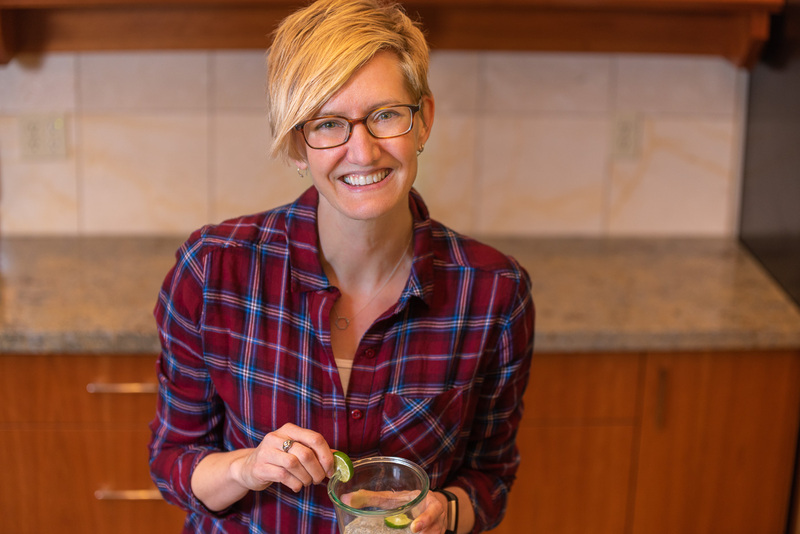 They make their own fillings using locally-sourced ingredients whenever possible. More on the locally-sourced part later. More on the fillings now. Per usual, I couldn’t decide on a single menu item, so I settled on two. The first was definitely my favorite: the Peanut Butter Cup. It had just two simple ingredients smooshed in between the top and bottom waffle, but peanut butter and warm, house-made, fair trade, dark chocolate ganache was really all it needed to be a perfect handheld breakfast. Next up was my somewhat healthier choice, called the Popeye. The menu listing read: fried Ota tofu, melted cheddar, fresh spinach, with honey dijon and maple butter. As I’m not a fan of mustard I asked for it to be left off, while I pondered the strange pairing of savory cheddar and sweet maple and wondered what Ota meant. Well, this waffle showed me they really know what tastes good together, unexpected or not. The combination was incredible. For some reason I had envisioned more of a scrambled tofu so was unprepared for the brick I got instead. But I had learned to trust their culinary expertise so just started eating. The tofu was soft and pillowy, which could possibly offend my texture sensibilities but the thin, crispy waffle made everything OK. 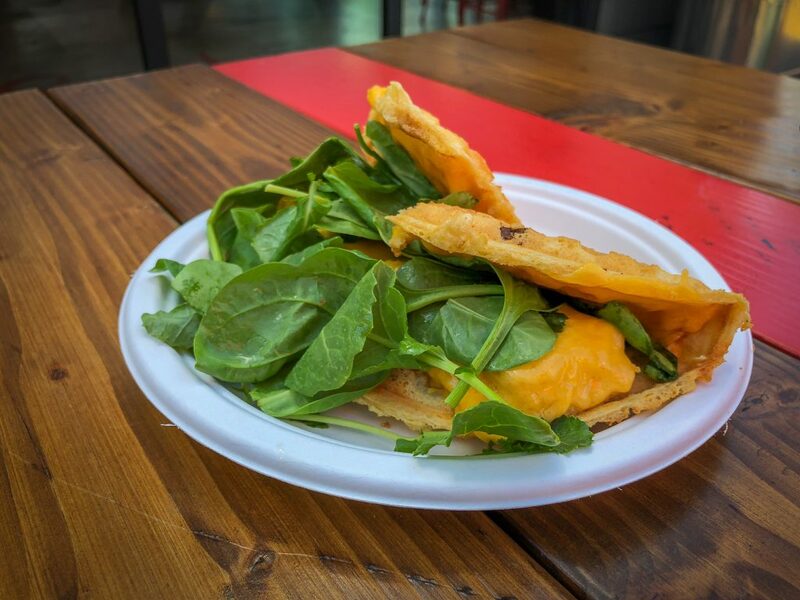 The melty cheddar and farm-fresh spinach brought more complex flavors to the table and completely delighted me. The husband made his own menu selection. Having eaten many a waffle at Flavour Spot (and because I’m a breakfast food professional) we knew the combination of sausage and maple was spot on, so he ordered a classic Veggie Melt. This relied on the saltiness of a MorningStar Farms vegetarian sausage patty and the sweetness of maple syrup, but threw in that darn cheddar cheese again. Turns out, it made it even tastier. 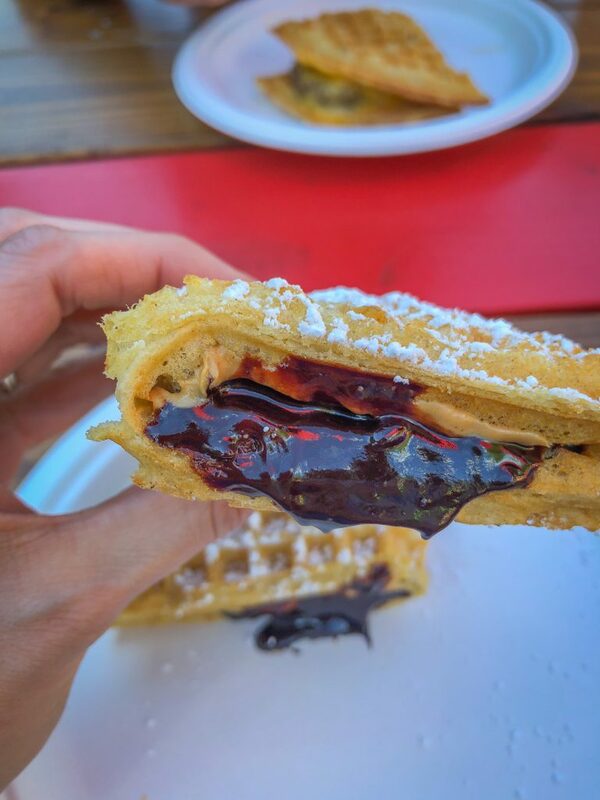 Apparently, maple butter makes everything better inside a waffle. Smaaken’s menu has a whole “Veggie” section with savory meatless waffle fillings, and a whole savory “Vegan” section as well. They have a vegan batter available, and in case you need it, gluten-free too. Nearly every waffle on the “Sweet” section of their menu can be made vegan. Could they be any more accommodating of plant-based peeps? Now, let’s revisit this locally-sourced thing. 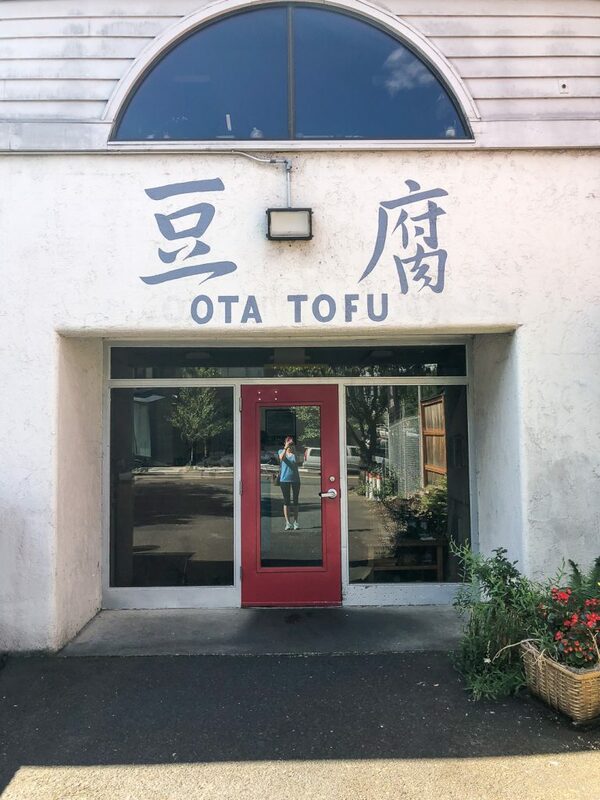 While I was chomping down on my waffley breakfast I was also googling “Ota.” Turns out Ota Tofu is the oldest tofu shop in the U.S. Established in Portland in 1911, they continue to be successful even without that modern marketing tool: a website. 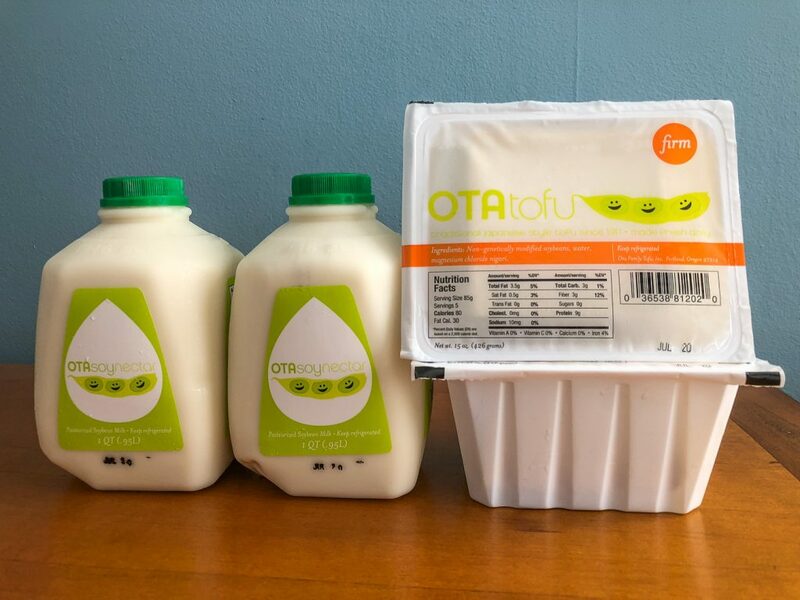 I learned, from an article on Ota’s fascinating history by Slate, that in addition to selling tofu primarily to restaurants, you can walk in and buy fresh tofu and soymilk as an individual customer as well. I’ve got to admit, it felt like a very Portlandia thing to do, to buy local tofu from the source. It doesn’t take much to make my dietitian heart happy. So if you’re in PDX anytime soon, and in need of a meat-free breakfast, get ye to Smaaken. Go crazy with smoked Gouda, lemon aioli, house-made low sugar raspberry jam, or vegan whipped coconut cream. Trust that they’ve already done the homework on what unexpected pairings create magic between the waffles. Are you a fan of sweet and savory pairings at breakfast like maple and cheddar? What other combinations make salty/sweet sense together? I’m just too delighted that your introduction to Ota Tofu was through our delicious Popeye sandwich! 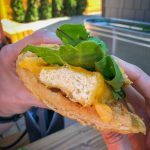 One of my favorite local foods we support, I love stopping by Ota weekly to pick up tofu for our three Smaaken Waffle food carts. It is an old school Portland place to know, for sure!